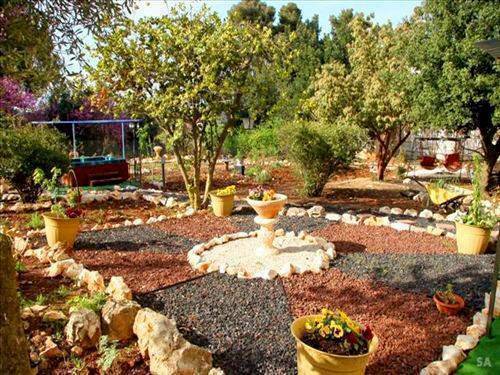 On the outskirts of the "CAPITAL OF GALILEE" Tzfat (Safed) is your best spot for touring northern Israel. Perched on top of Mt. 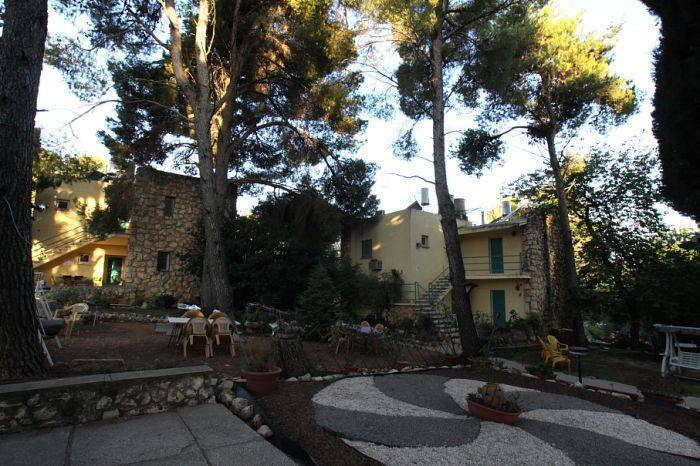 Cana'n just outside the town of Tzfat, we offer the perfect spot for active touring of northern Israel - or a great vacation and relaxation place. 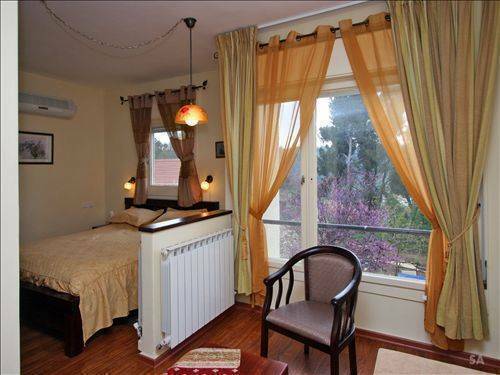 from dormitory -style rooms to luxury suits - according to your choice. singles, couples, families or groups - all are welcome and feel at home with us. Guest kitchen ( fully equipped) or served breakfast, B. 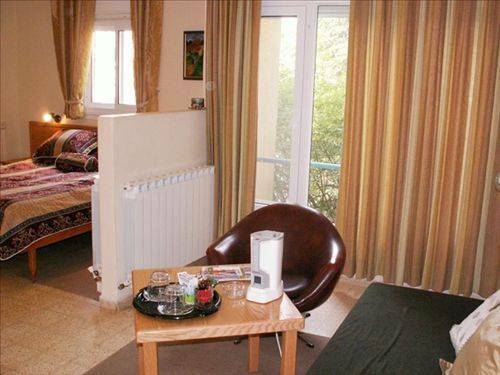 B. Q. facilities, large garden, hot -tub, dry sauna, internet and t. v. room and experienced hosts await you. Dorm-type rooms with 1 or 2 bunk-beds, each with en-suite shower, sink, toilet - suitable for people over the age of 18, only. 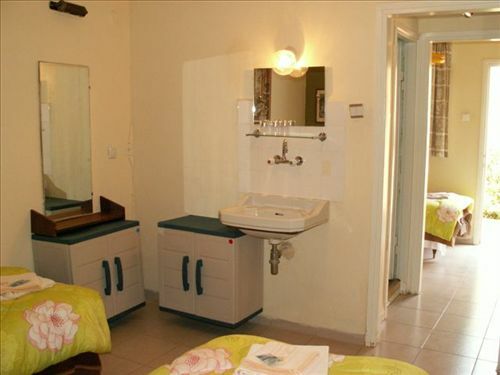 Standard Private Double rooms, with bath-tub, cable t. v., coffee corner and a small fridge. Double Deluxe Suites, ( Queen size bed only) double Jacuzzi , coffee corner, cable t. v., fridge, D. V. D., and more. Special tourist rates quoted here apply only to tourists presenting a valid foreign passport. Large garden, sitting corners, Table-Tennis ( weather permitting) , B. B. Q. facilities, Telescope for night sky watching. Internet room - free of charge. WI-FI access, T. V. corner. Guest kitchen with dining area, hostel breakfast room, continental or Special Israeli breakfast available ( at extra cost). Washing machine and dryer available( at extra cost). We can book for you: car rental, restaurants, Sea of Galilee Boat rides, A. T. V. rides, horseback riding, Kayaking, cell-phone rentals, all at no extra cost. Guest kitchen, Garden, Table-tennis, Internet, Wi-Fi, Breakfast room, Summer Terrace, Bicycle hire, Sauna, Hot-tub, Guest lobby with TV, Beverages for sale. Store and restaurant within walking distance ( closed on Saturday). Dormitory rooms: 1 male dorm with 2 bunk beds and 1 single bed, 1 female dorm with 2 bunk beds and 1 single bed, 2 triple co-ed dorms with one bunk bed and 1 single bed, en-suite shower/toilet/sink in all the dormitory rooms. Complimentary coffee/tea in the guest kitchen. DELUXE Double Private Suite: 1 queen size bed, En-suite bathroom with double jacuzzi/toilet/sink, complimentary coffee corner, robes and slippers, small fridge, Cable TV, DVD. complimentary use of Dry Sauna and Hot Tub. 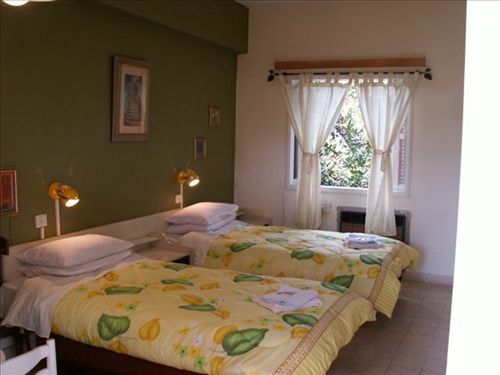 Especially for Couples - no additional beds possible in this room. On top of the mountain outside of the town of Safed (Tzfat) . Middle Eastern/Lebanese cooking - WONDERFUL!!! An ethnic restaurant serving Circassian dishes- the only one in the north of Israel. Payment upon checkout. Major credit cards accepted. No cheques. Cancellation Policy: No charge up to 1 week (7 days) before reservation. No Show/late cancellation: 1 night of total reservation. No- Shows will be charged the total amount of their booking. Take route 90 north* to ROSH PINA. At the traffic light of Rosh Pina, make a LEFT turn and at the first round-a-bout make another LEFT turn. Make a RIGHT turn at the next round-a-bout which will put you on route 8900. Drive UP the mountain for about 9. 3 Km. When you see a small shopping center on your RIGHT (it has a sign in English of a New Pharm and a DELEK petrol station) slow down and make a RIGHT turn just after the parking lot of the shopping center. Drive up the hill for 1. 5 Km (passing the veterinarian sign on your right and making the big left curve, passing the Villa Galilee on your right, passing the big hotel Canaan Spa on your right and curving with road to the right AFTER passing the Canaan Spa. The Safed Inn is on the left side of the road at the next junction. Please note that if you are driving on route 90 north via Tiberias, you need to stay as close to the water as possible (that is keeping on route 90) – Route 90 runs from the farthest north of Israel to the farthest south of Israel – it is ALL in Israeli territory – not in the west bank or the Palestinian Authority. Go EAST on route 85 until it joins route 866, follow that to route 8900 (EIN ZETIM JUNCTION – the sign says ZEFAT NORTH and BIRIYA) it's a LEFT turn and then an immediate RIGHT turn. From that junction, drive for 5 minutes and make a LEFT turn at the sign saying METZUDAT BIRIYA (it's directly across from the main entrance to the town of Zefat). Go UP the hill and at the round-a-bout make a RIGHT turn. Drive up the hill and make another RIGHT turn and PARK!!! The Safed Inn is on that corner. On weekends, a car is necessary. We are located on top of a mountain, 3 miles (4-5 Km) out of town. From FRIDAY at 14:00 local time until Sunday morning, there is NO PUBLIC TRANSPORTATION AVAILABLE and no stores are open nearby. The same applies to all Jewish Holidays.